We started the day with a lecture by Professor Zhang Ge on Chinese Law and Development. We were told that China has undergone rapid economic and social growth since Deng Xiaoping instigated the opening up policy in 1978. Consequently, the law in China has needed to adapt quickly in order to maintain pace with development. Professor Zheng Ge emphasised the unique nature of China’s development, resisting foreign aid and continuing use of a civil law system. A key paradigm of China’s progression was its ability to control development steadily; Deng Xiaoping espoused the river of growth must be crossed by touching each stone, which permeated throughout Zhengs discussion. The measured steps have seen dramatic poverty reduction unparalleled worldwide, however rising inequality exists as an undesirable biproduct. Ultimately Zheng’s methodical walkthrough of the law in relation to Chinese development was an eye-opener, and his use of case studies epitomised this shift aptly. The milk industry was a particularly interesting example. The dairy industry was initially a key priority for the state, but was quickly followed by a food safety scandal were melamine was found in many milk products in 2008. As a politically sensitive case, the government responded byway of offering compensation to those affected, whilst suppressing appeals by a prominent advocate seeking redress and medical treatment. The advocate was sentenced to two and a half years in prison for ‘disturbing public order’, with officials essentially abusing the process to protect both their personal and national interests. This made us question the government’s model of responding to such disasters faced by their citizens. 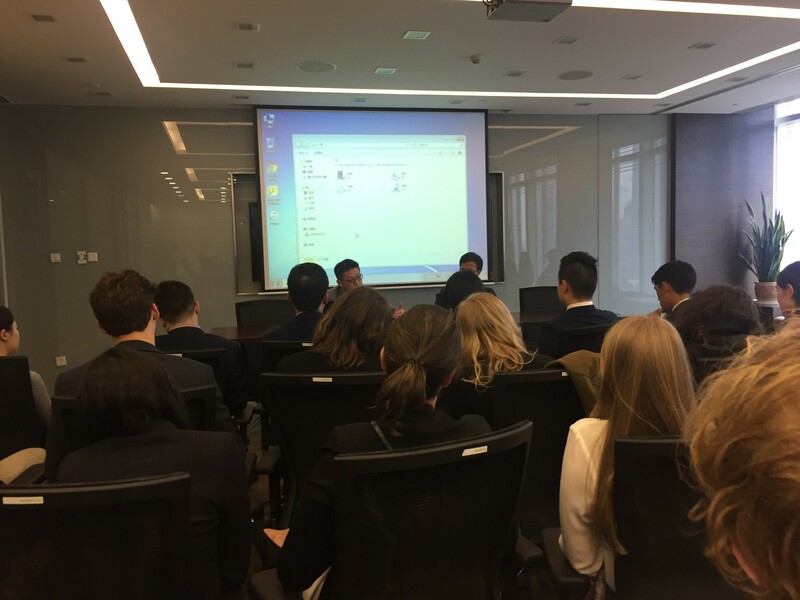 In the afternoon, all of the Adelaide and Melbourne law school students attended a seminar and tour of one of China’s top law firms, Zhong Lun. 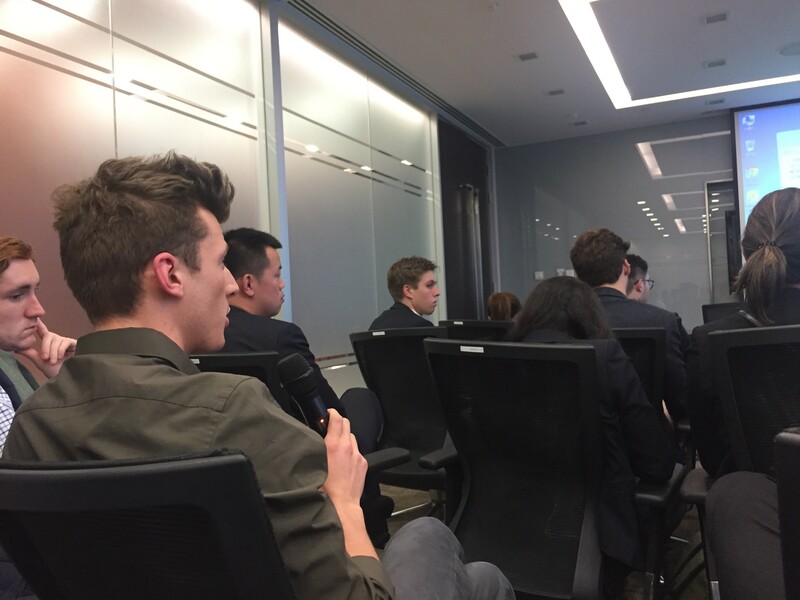 Two partners of the firm provided an informative session regarding their firm structure, areas of expertise and professional journeys. 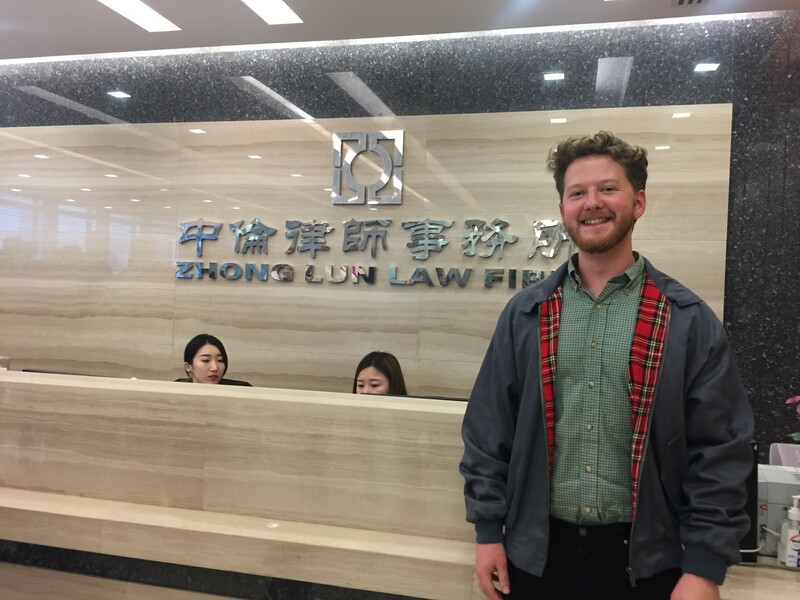 Poignant topics included their provision of legal services to foreign corporations and law firms, with an emphasis on understanding the Chinese-mindset and culture. Further, they described the necessitating of moving from generalised practice areas of specialisation coinciding with the development of the Chinese legal framework and economy. Proceeding this, we toured one floor of the law firm, witnessing how the offices were structured, whilst enjoying a nice view of Pudong. 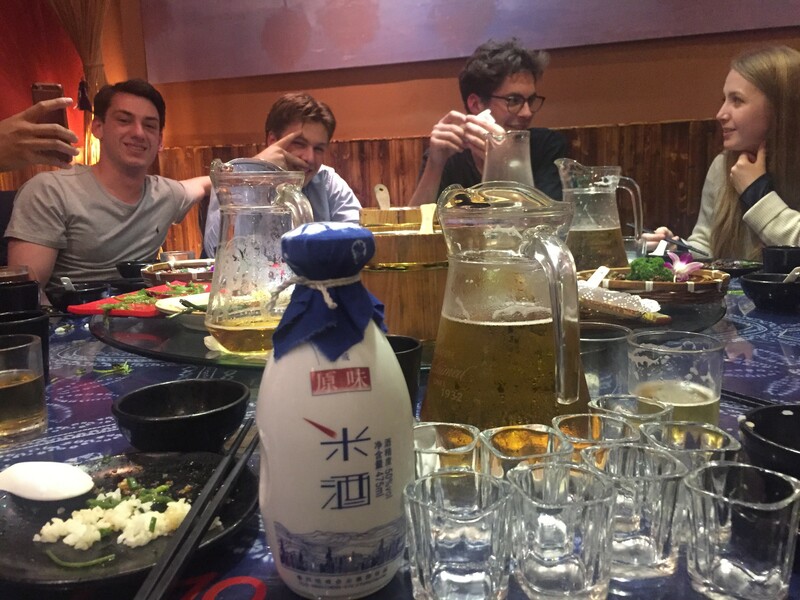 At night, the students went out to enjoy yunnan food at a popular restaurant called Lotus Eatery, we also managed to have an opportunity to have our first taste of the famous Chinese Baijiu, a drink many of us have been waiting to try. Spoiler alert: it’s not good. This entry was posted in Events, News and tagged China Study Tour, China Study Tour 2017, China Study Tour Day 9. Bookmark the permalink.